PROGRAM: Jennifer Cooper Boemmels, the Club's 2017 Schuele Scholarship awardee, will present a portion of her research at the University of Connecticut to the Club. Her talk is entitled "Early Cretaceous magmatism in western Vermont and eastern New York: Timing, geochemistry, and role in the postrift evolution of the Eastern North American Margin." See her abstract and bio for more information. 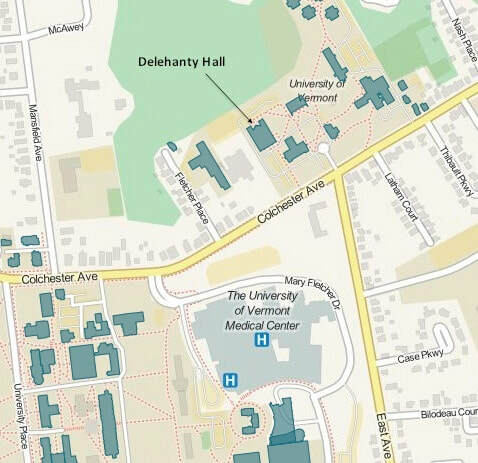 Regular club meetings are held on the last Thursday of the month (except July, November and December) in Room 101 in Delehanty Hall at the University of Vermont (unless noted otherwise). Prospective members are always welcome. No background in geology, mineralogy, or paleontology is required.